The Indians walked off the field in the early morning of November 3rd 2016 completely exhausted. They had just wrapped up one of, if not the most memorable World Series in the history of the game, a marathon seven-game series that saw them at one point hold a 3-1 series lead, only to lose three straight to more heavily favored Chicago Cubs, falling in game seven in 8-7 in 10 innings. The feeling was one of disappointment, but also of great satisfaction, as the team had overcome the odds, come basically out of nowhere, and took their fans on a ride that not many would ever forget. Fast forward two plus years later, the feeling among many fans has changed – it seems dramatically. It’s now January of 2019, and since that unlikely World Series run, the team has remained in the mix to win a World Series, but each year has fallen short. In 2017 they went on a historic 22-game winning streak, and ended the year with the best record in the American League. Things were going swell in their first-round of the postseason, an ALDS matchup with the New York Yankees, as they won game one 4-0, and in game two overcame a bad start by Corey Kluber to pull out a wild 9-8 win in 13 innings to go up 2-0. After that, it was a disaster, as they lost two games in New York, 1-0 and 7-3, and then an old friend, C.C. Sabathia and the New York offense did enough for a 5-2 win to shockingly send the Indians home for the offseason. 2018 was even worse when it came to the postseason, as the team had their moments of struggle in the regular season, did not have a win streak that made national headlines, and instead showed plenty of flaws with a bullpen that couldn’t get players out, and an offense that at times stumbled. The end result was a 3-0 sweep by the former World Series champion Houston Astros, again ending teams season with fans grumbling and with doubt about the future. This offseason has been what many have classified as a nightmare, as the team has chopped payroll, sent some popular players packing, and again losing arms of a bullpen that while it stunk last season, dosn’t appear to be looking much better with less than a month before the start of camp. While all these facts are true, there are a few things that Indians fans can and should still be happy about. 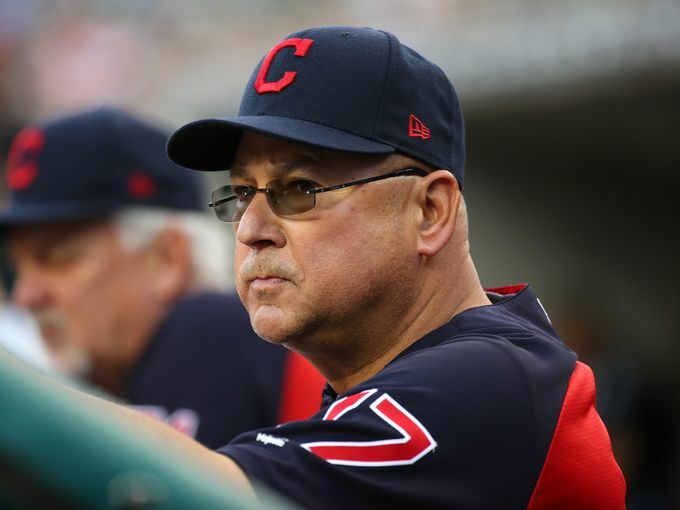 They have (by far and away) the best rotation in the American League Central, they still have two star players in their infield (Francisco Lindor and Jose Ramirez), and a manager in Terry Francona who has led this team to the best record overall in the American League over the last five seasons. So with everything stated above, there’s just one question for fans of this franchise – why so bitter? The Indians fans are far too jaded. No matter what, they won’t show up at the park. World Series victory would come with last in attendance. If it doesn’t change, we’re the next Expos. From the cleveland area now residing in Missouri and i get why the indians fans are bitter! This offense would make anyone feel bitter! I dont care if you have the best rotation alive if you cant score runs your going to gas out a rotation and most likely we will see alot of 2-0 games! The ownership with lack of wise spending putting at least a competent offense on the field to compete with the astros yankees and red sox have said to fans we dont care about our starting pitching staff and the talent that is there possibly wasting the deepest starting talent this “pitching wise” franchise has ever seen! You cant rip 60% of your offense from the lineup in the off season and think that even remotely this team can compete with the big dogs…..and thats the reason why fans are bitter……..so close but oh so far away! Did Dolan pay you to write this? Why so bitter? It’s very simple. The Indians lost a world series bc your manager that is so great made exceptionally bad decisions and didn’t put the Cubs away when they were down. And unlike the Royals and Cubs who lost then THEIR FRONT OFFICE MADE MOVES TO WIN THE NEXT ONE the Indians did nothing to get over the hump. How about letting Rajai Davis walk after he hit the biggest home run in Indians history??? A shut down closer or bullpen arm after Miller pitched the WBC after all that playoff pitching and smoked his arm. Kelvin Herrera? Nope. Or a CLUTCH hitter maybe Nelson Cruz or Steve Pearce for example. No we trade Mejia for Hand and terrible Cimber. Hand didn’t even make up for the loss of Miller. Bottom line. Dolan will never give us a winner. The window is closed for a year now. Too concerned with gimmicks like drink rails and district tickets. So the ballpark is more “young people friendly”. Like that terrible music blaring thru the speakers. Good teams draw attendance. And baseball fans hate that way to loud music. The good front office guys went to other teams now. Antonetti is terrible. Not baseball smart. Tito is over rated. Younger managers are the trend and they produce. Tito’s insistence on playing veterans is ubdurd. And Yandy Diaz…. Let’s see if he’s another Jesus Aguilar this year. I hope so. All that money wasted on Edwin and Alonso last year….. Aguilar walked away and went to the all Star game. Gomes traded so TERRIBLE Perez can start. Great idea. But this last straw for me is letting Brantley go. He’ll be in the world series and the Indians won’t win the division this year. I have defended the Dolans for many, many years as sensible owners who trust the front office and spend at the right times, but this offseason finally broke me. I’m bitter because I don’t believe ownership has any real intention to compete for a World Series this season (I exempt the front office, they are doing the best they can with their financial restrictions). Does that mean IF they get into the playoffs (this team is only projected to win 91 games in the charming soft AL Central, people shouldn’t assume it’s a slam dunk division winner) they can’t win a title? No, of course it’s possible. But I no longer I believe ownership is doing everything they can do maximize their chances. We look at 2016 as if that’s the norm, but that team wasn’t built for a title and got red hot at the right time — and FYI still didn’t win it all, as great and magical as that run was. I don’t think we can count on getting lucky like that two out of four years with three monsters in the AL. I’m not asking for $300 million to sign Harper, but $7 million for a decent reliever or outfielder seems eminently reasonable. When Lindor is a free agent in three years — meaning they have to trade him in two years, max, because I don’t believe the team can, or even should, spend $300 million on one player — then you have to go all in for these next two years and then you can step back and retool/rebuild and I would have defended the Dolans again. But they are wasting a year of Lindor on hope and scotch tape and I can’t abide that. We complain about fans not showing up and say “it’s a business,” but we laud players for playing for the “love of the game” and taking pay cuts to be team players — because what’s the real difference between $8 million and $10 million per year, right — yet we never expect owners to want to own a team for the love of the game. We also haven’t ever seen the books and have no idea what the profit margins are, so I’m not going to assume the Dolans are losing money and “have” to cut payroll. I just don’t think fans are being unreasonable in expecting ownership to go for it while they had the foundation of a champion but the supplemental help of a thrift store. Totally agree with this article. Team goes to world series- fans complain. Win division 3 years in a row- fans complain. Set team payroll records- fans complain. Fans say “spend money and win more, we’ll show up!” They did their part, fans didn’t. The best part of this is that now they know there is nothing they can do to to make fans happy and can use their resources to build a competitive team at a good price. Fans will complain, but what’s new? I hope they sell out to Montreal. I am one tribe fan who would celebrate the move. Cleveland doesn’t deserve them.